Carry your camera and Binoculars : The beautiful places you share with your family or partner at Kerala needs to be frozen in time. Your camera is therefore a must. Binoculars are most important if you are planning to hit the wildlife sanctuaries in Kerala. Carry tanning cream and sun guard lotions : The beaches in Kerala are marvelous getaways for tourists. But the bright omnipresent sun is ready to give you a perfect tan. Use the sun as you prefer. Get a tan, or get away from it. 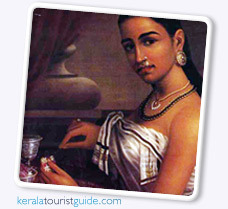 Try out authentic Kerala Cuisine : The spices of Kerala make a lip smacking table. Do not miss it. Sail out on a local Fishing Boat : If you want the rustic experience, abandon the resort yacht and sail hire a local fisherman to take you out o the seas. Coconut Water : The coconuts in Kerala are mind blowing. The sweetness of their water puts sugar syrup to shame. Remember that. Clothes wear soft cotton clothing on the beaches. For the hill stations carry light warm clothing as the nights can get chilly. Winters bring cold nights on the Western Ghats. Houseboats the best way to explore the Backwaters is on a houseboat. Onam the harvest festival in Kerala is celebrated during August-September. The famous boat races take place on the 5 th day of Onam usually in the first week of September. Those interested to witness the races are advised to visit during his time. Shopping in Kerala you can shop for coir articles since that is a prominent industry in Kerala. Trinkets made of wood, sandalwood, buffalo horn make perfect souvenirs for your loved ones back home. If you are an ayurveda therapy buff you can buy medicines and massage oils from kerala.